The crazy pony rides again! What else represents freedom more than the Crazy Pony with it’s billowing manes? 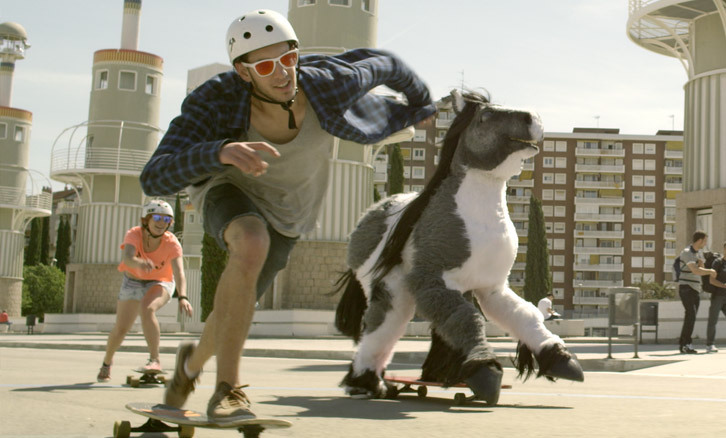 Yes, a crazy pony on a longboard! With JIM Mobile, nothing is holding you back. Check out how this translates to tv, print and online! JIM Mobile needed some attention drawn to it’s renewed and attractive mobile postpaid offering. For making clear their offering encompasses all mobile needs of their youngster audience, they turned to us. We illustrated the world of JIM Mobile – where everyone can coast along and nothing is holding you back – with a bunch of fun-loving longboarders cruising through the city. Nothing special, you’d say, except for their four-legged furry friend that’s boarding along, once again establishing JIM Mobile as the most off the hook brand in the mobile market. 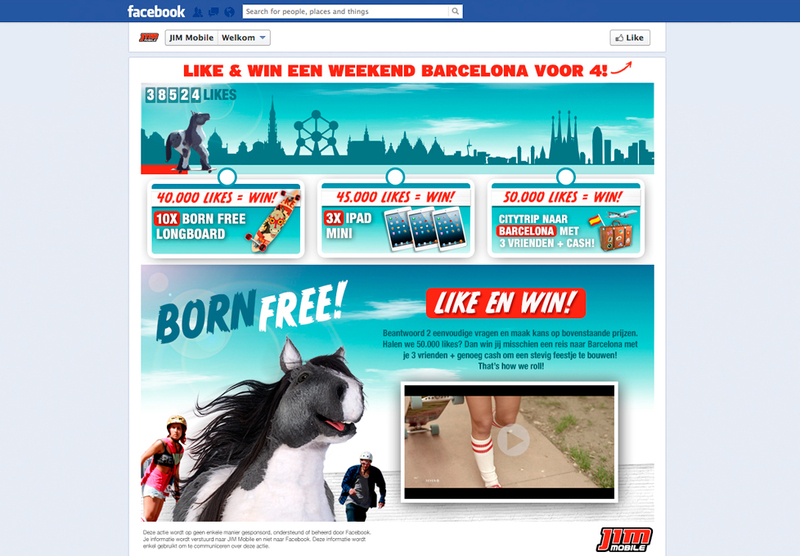 To extend the campaign to social media, we created a Facebook app that takes the horse on a trip with its longboard. The more likes JIM Mobile gathered, the more prizes were unlocked. 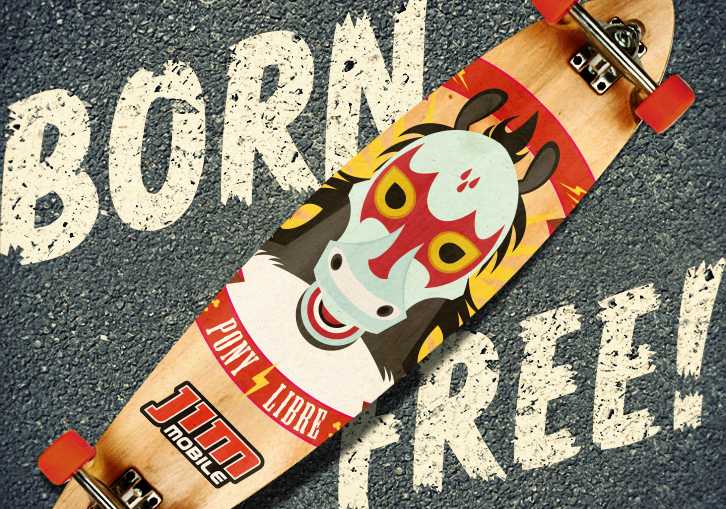 And what better prizes could we think of than some custom printed, hand-crafted longboards? Let’s ride!